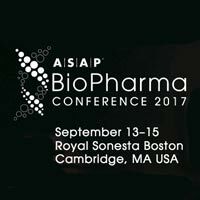 The Rhythm of Business is pleased to once again announce our sponsorship of the ASAP Biopharma Conference, the leading conference for life science partnering professionals. This year, we are sharing some of our learning about driving commercial success with local partners, applying some of the lessons learned in the world of information technology. In high-tech, the last mile to the customer includes “channel partners” or “resellers.” This is also the case in biopharma – although it is rarely described as a channel. Leveraging techniques high-tech companies have successfully utilized, we’ll examine practices biopharma companies are adopting to better align with their partners and drive success by ensuring their partners are successful. Learn what it takes to make your company stand out and be top of mind when it comes to serving patients through the biopharma channel. Educate and engage key stakeholders in adopting your critical processes such as compliance, pharmacovigilance, supply chain, and quality. Help partners leverage your resources and achieve mutual success. Learn more about the conference and register. It is an event not to be missed!